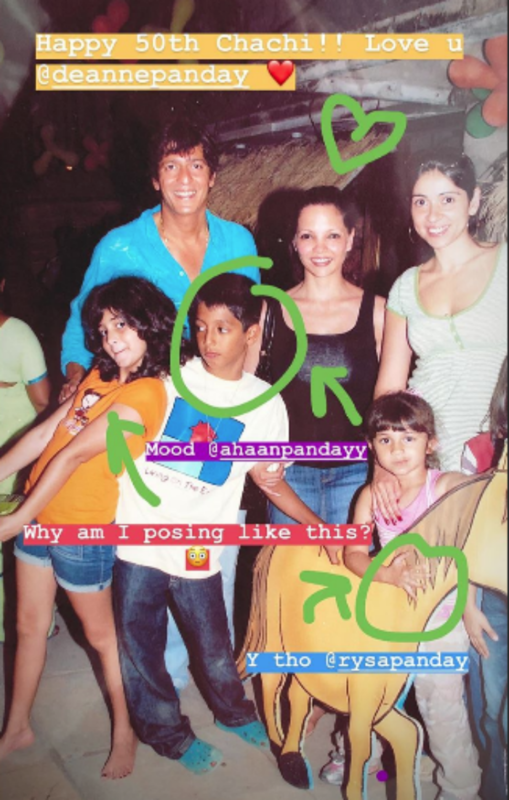 Ananya Panday struck gold in her family photo archive and shared a super cute throwback photograph on her aunt Deanne Panday's 50th birthday on her Instagram story. The picture features Ananya Panday along with her parents Chunky and Bahavana Panday, her brother Ahaan and sister Rysa and of course, her aunt Deanne. In the throwback picture, Ananya, dressed in an orange t-shirt and denim shorts, can be seen happily posing for the camera. She wrote: "Happy 50th birthday Chachi. 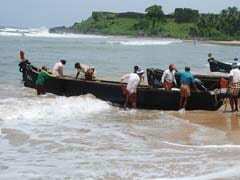 Love You." The 20-year-old actress also accompanied the picture along with a caption that read: "Why am I posing like this?" BTW, did we tell you, she looks super cute in the photograph. On Children's Day, Ananya shared a picture from her school days and asked her fans to spot her in the picture. How can we forget the oh-so-adorable throwback picture that she shared on her father Chunky Panday's birthday this year? She wrote: "Happy birthday to the coolest dude ever" and accompanied the post with the hashtag "bestfriend." Ananya Panday is all set to make her Bollywood debut with Punit Malhotra's Student Of The Year 2, co-starring Tara Sutaria and Tiger Shroff. The film has been produced by Karan Johar and it is scheduled to release in May next year.